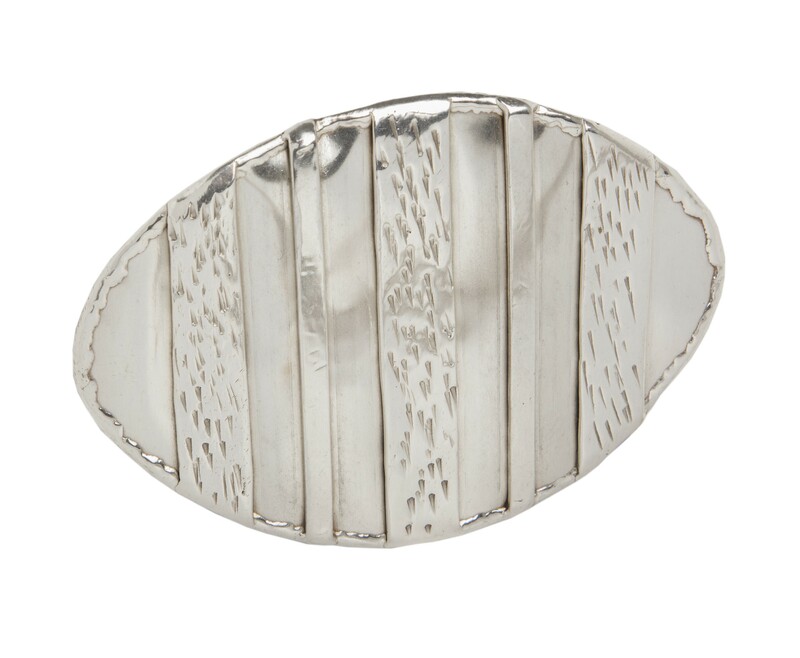 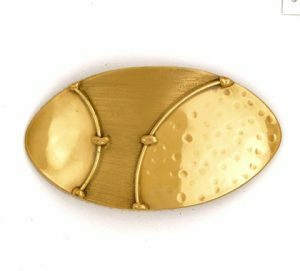 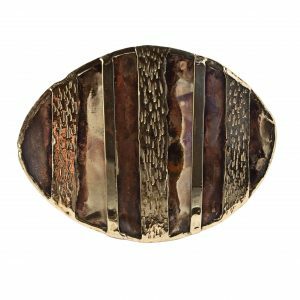 A modern design of smooth and textured gold brass bands vertically placed on a burnish brass oval buckle. 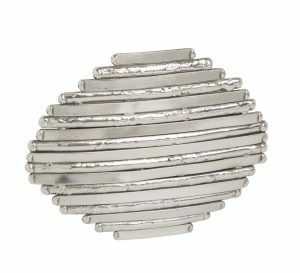 Individually made by skilled artisans in a fairtrade factory in South Africa. 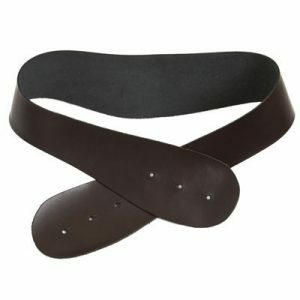 The buckle is interchangeable with shaped belts, purchased separately.